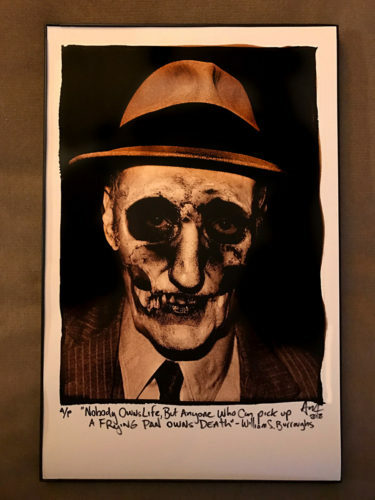 Limited Edition Skull Print by Adam Turkel 2018 – Signed limited edition, 11 x 17 print on heavy card stock limited to 25 copies. Stunning! Part of Adam’ ongoing skull series, this a great addition to any literary art collection. A strictly limited 20 x 30 edition is also available. Contact for more info!